Trays: Any seed starting tray will do. I prefer to use photo developing trays, they are thicker and have channels on the bottom. I also use old cake pans, for smaller blocks. Hardware cloth (wire mesh): 1/4″ or 1/2″ grid, cut to fit in the bottom of the tray. Soil blocks are created by molding soil into a particular size cube. There are several size soil block molds available on the market today. I own a 3/4″, 1-1/2″, and 2″ mold. 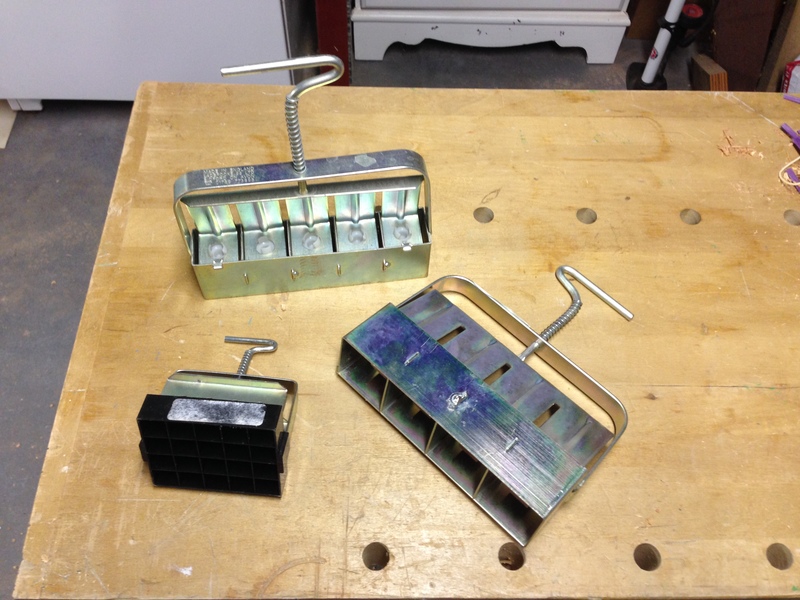 The 2″ mold has inserts that can be installed to create an opening in the block to receive a 3/4″ block. This allows you to block up as the plants begin to grow. The block size is often determined by the seed size, I use a 3/4″ block for lettuce, flowers, broccoli, and tomatoes (just to name a few), but a 1-1/2″ block for squash seeds. The 2″ blocks are great for blocking up from a 3/4″ block.